This is the first book showcasing the most successful digital companies and the founders behind them. Every aspect of our lives is undergoing major changes on the path to a fully digital future. More than ever, young entrepreneurs are launching businesses to improve or revolutionize established industries. Starting with media, entertainment and communication some twenty years ago, the digital revolution has now reached traditional industries like manufacturing, energy, and transportation, to name just a few. While many business models and companies did not survive, clear winners have emerged that will continue to shape our lives in the foreseeable future. The first edition of the NOAH Hall of Fame introduces these companies and gives insights into their people and stories. Some of the world’s most famous founders share anecdotes, key reasons for their success, lessons learned, and their vision for the future, providing an informative and entertaining read for digital experts and amateurs alike. 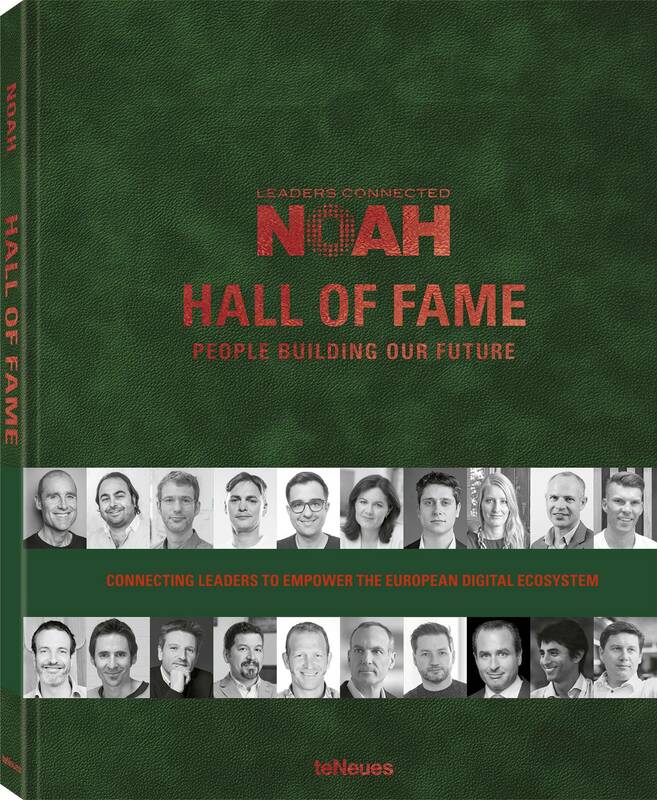 The book features the first 50 inductees into the NOAH Hall of Fame as well as top companies in today’s most relevant digital vertical markets. What do these companies have in common? They are all changing the face of Europe, and most of them presented at the NOAH Conference, a semi-annual industry event for digital leaders organized by the co-authors of this book. For nine years, the NOAH Conference, established by Marco Rodzynek, has been the largest industry meeting of European Internet and digital economy companies. Internet CEOs, managers, and investors come here to gain insight into the newest successful concepts, exchange ideas with top executives of established companies, learn about startups and new concepts, and make new business contacts. The objective is to link capital and experience with innovation and allow service providers to find the right buyers. Initially “anchored” in London, the NOAH Conference has also been held in Berlin since 2015 in partnership with Axel Springer Digital.